At Throttle Quest, we don't look upon a motorcycle as mere means of going from point A to point B, at Throttle Quest, we always look upon a motorcycle as part of our lives, as part of our day to day existence, at Throttle Quest, we don't abide by the "logical" and customary perceptions about motorcycles being just an engine with a chassis around it and riding on just two wheels, at Throttle Quest, we live and breath motorcycles and for us motorcycles are close our lives and motorcycling is our Life Style. But, then it's easier to talk the talk than to walk the talk, and at Throttle Quest, we don't walk the talk, heck, we Ride the Talk!! 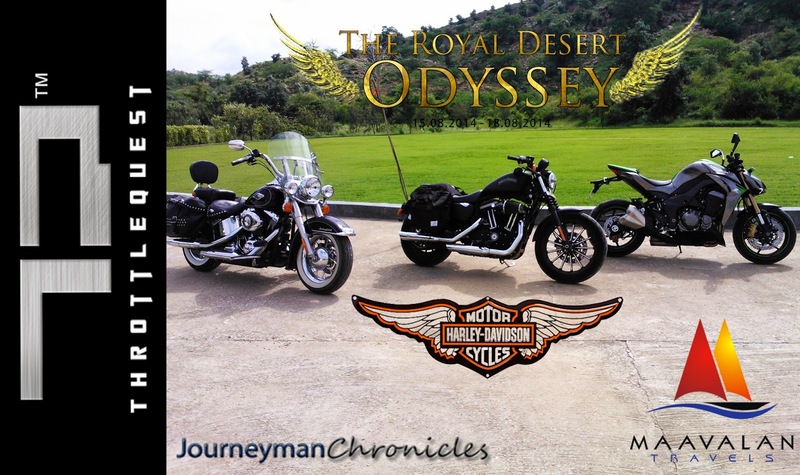 Throttle Quest, in association with Maavalan Travels and in partnership with Harley-Davidson Motorcycle presents the Royal Desert Odyssey and present and showcase the Motorcycling Lifestyle along with Royalty! 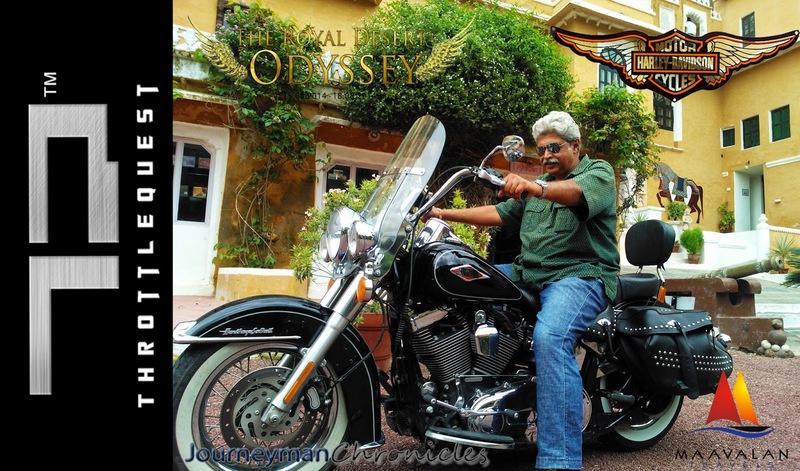 Taking the none other than the Harley-Davidson Heritage Softail Classic and enjoying the Harley-Davidson hospitality is some experience. Being amongst the cult, the V-Twin Engines, the smell of oil, one has to be in the company to even realise what it's like being there. 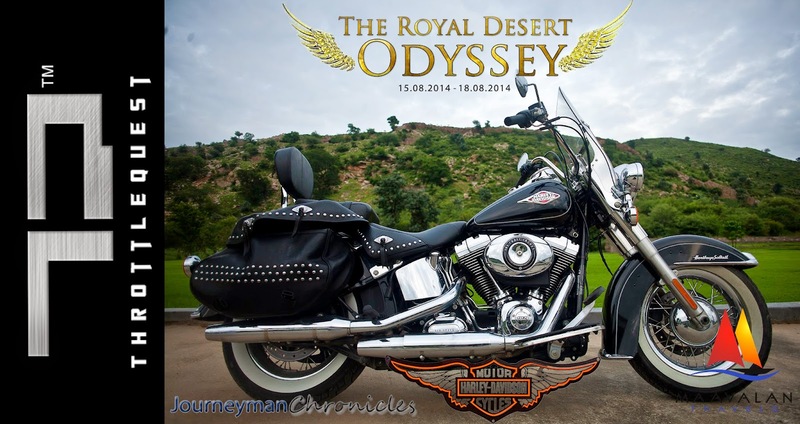 The journey has just started and the desert has become green in the monsoon, but Royalty still remains!! Heritage meets Heritage Palace King: Veerbhadra Singh.